Promote smooth, even skin and minimize the appearance of pores with Niacinamide Serum from Good Molecules. Formulated with 10% niacinamide (vitamin B3), this lightweight serum helps to refine skin tone and texture for a brighter, healthier-looking complexion. 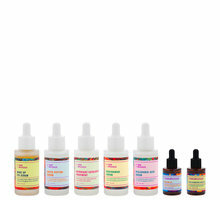 Apply a few drops to your skin in the morning and at night before oils, moisturizers, and creams. Suitable for daily use. I used to use a similar Niacinamide/Zinc serum but I found it too sticky and I didn’t see great results. I have been using this serum and have noticed a definite reduction in pore size, and overall the texture of my skin looks much smoother. I use this in the morning with my Vitamin-C serum (I use pure Ascorbic Acid, not a derivative form) and then in the evening after the Overnight Exfoliating Treatment. I’m not sure if it’s the combination of serums or this one in particular, but the one-two punch of the acids and niacinamide has made a noticeable difference for my skin as far as texture and brightness. The packaging is also very thoughtful- simple, easy to understand, and there seems to be a scraper in the bottle to prevent excess product clinging to the dropper. Love it! I’m in shock! Used this serum in my am routine and then again same day in my pm routine and I could tell a huge difference in my skin! Brighter and smoother! I just finished another brands serum and made the switch to this and I’m so glad I did! I’ve been using this for a week! holy frick i can already tell a difference!! my face feels so soft & my pores on my cheeks are not even noticeable anymore!! The pores on my nose are smaller now!! I love this serum!! literally everybody needs to pick it up! the morning after I used it, my skin felt SOOOO much smoother and softer. I also haven't had any breakouts and my redness has decreased. As for pores and texture, it still hasnt shown any changes but I don't expect miracles. I’ve never tried a serum with Niacinamide, and I’m so glad I did. This serum contains vitamin B3 which is known to help with minimizing pores and help with overall skin texture and tone. I love to layer it with the hyaluronic serum under my moisturizer. My pores and overall skin tone look so good right now, so I can tell that this is working well! The texture of the serum is really nice which allows for a good face massage upon application. As I get older, I am becoming more focused on skin care. I ordered this product based on other reviews and I agree with them, this product is great. I have been using this product for over a week with the hyaluronic acid and it is a perfect combination for my oily skin. I highly recommend this product. I am pretty new to the Niacinamide game, but I must say I see a difference in my skin after starting using it! I feel like I can keep break outs at a minimum, and that I can heal the breakouts that does come quicker! I use this serum a few times a week in the morning, often in a mix with the Good Molecules Hyaluronic Acid serum - together i feel like these products makes my skin hydrated, plump and clear! Very nice, simple formula with minimal ingredients and no fragrance. Sinks right into skin. Great price. Will repurchase. I have tried Niacinamide before and didn’t get the hype. I never saw results and the product would pill up when I put my other skincare on top of it. 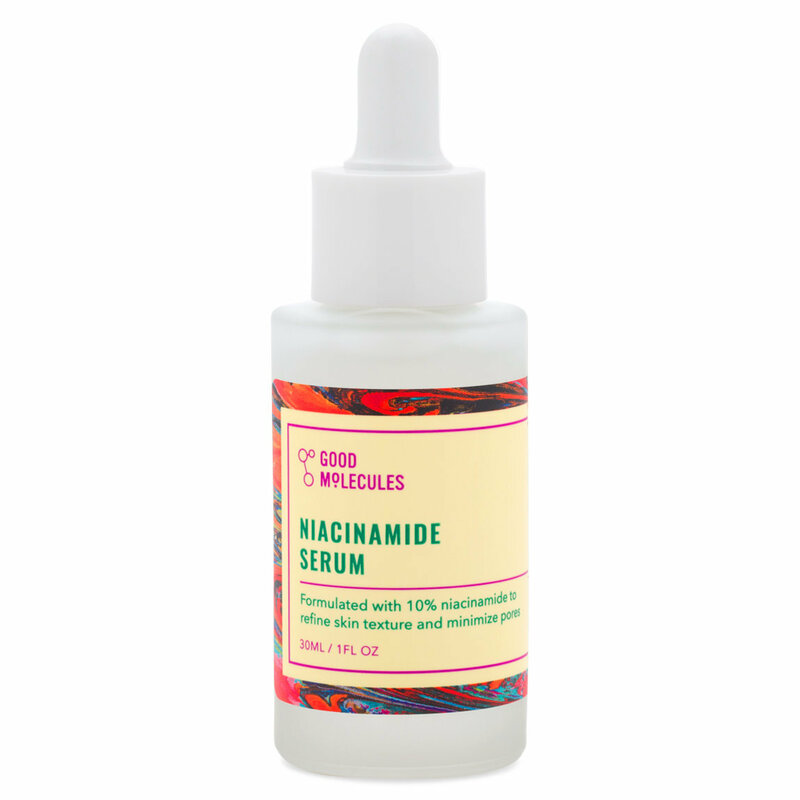 I got the Niacinimide Serum as part of the Good Molecules Super Seven bundle and, wow, this is a in a league of it’s own! I finally understand why people like Niacinimide! This product makes my skin look smoother, more even and air brushed! It is a must have for me and I love that I can use my regular serums and moisturizers on top of it with no product pilling.